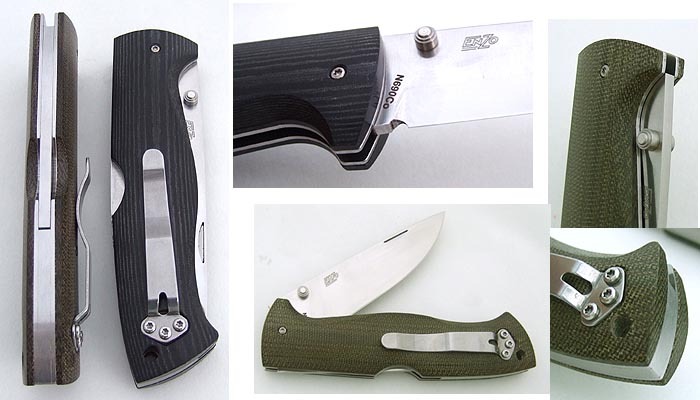 A folder designed for Bushcrafting and heavier use than the Birk and PK70 with a distinct finger guard. The contoured handle will allow longer use, and in Canvas Micarta or G10, better grip in wet and cold conditions. The sophisticated lines carry on the EnZo tradition of well built economical knives. significantly effects how easily the Borka opens as the forward screws screw into the pivot. I have also found that lubricating the pivot helps a bunch.